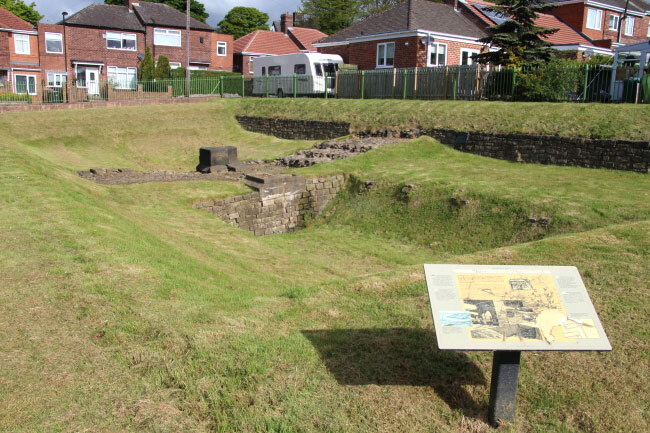 The cavalry fort at Benwell (Condercum), one of 13 permanent forts along the line of Hadrian’s Wall, is no longer visible. 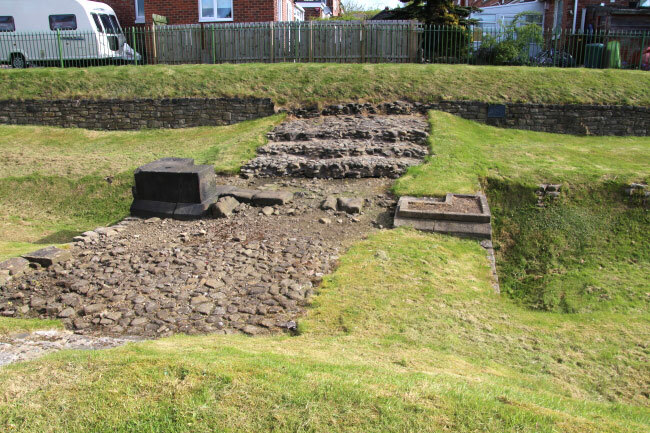 The site, which was situated on a hilltop 2 miles to the west of Newcastle upon Tyne and measured 570 feet by 400 feet, covered about 5.25 acres but has now been built over. 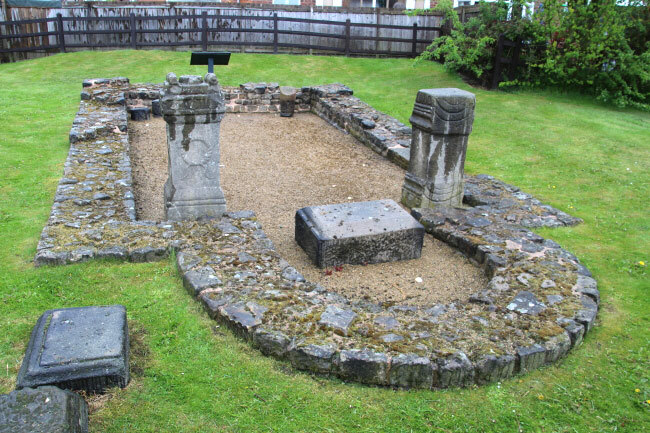 Sixty yards to the south east is Benwell Roman Temple which is dedicated to a local god, Antenociticus. 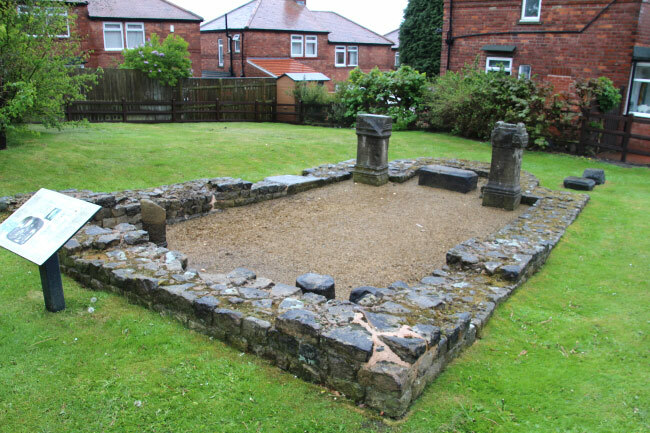 This once stood within the civilian settlement outside the fort and which was built by about AD 180. To the south is Benwell Vallum Crossing, the only permanent crossing of the Vallum earthwork to be seen on the line of Hadrian’s Wall. 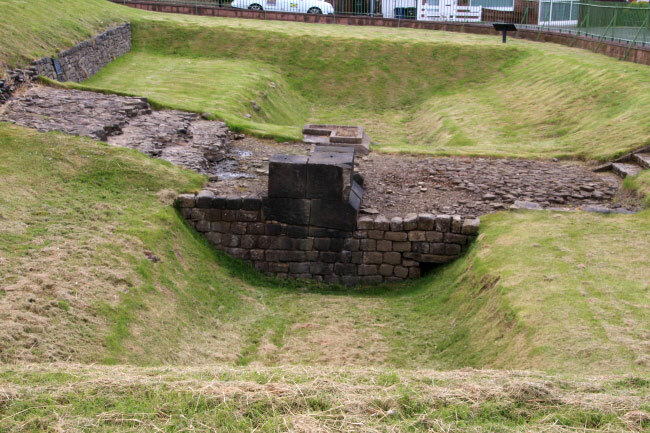 The vallum was a great ditch to the south of Hadrian's Wall to protect the southern approach to the military zone. The crosssing would originally have had gates and an ornamental arch. 2 miles west of Newcastle on the A69.